Even in a group of English Literature scholars you mention the name Bakhtin and people start to sweat. If you breathe the words dialogism, heteroglossia, or polyphonic novel people begin moving away and towards the open bar. Break out Carnivalesque and they stampede for the door. 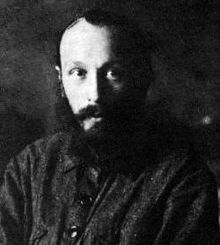 Mainly it’s due to Mikhail Bakhtin being such a tough nut to crack. He was a Russian critic with lots of ideas. We’re going to scratch the mere surface of Carnivalesque. Carnivalesque is a kind of literary subversion that liberates assumptions of style by using humor and chaos and the grotesque. 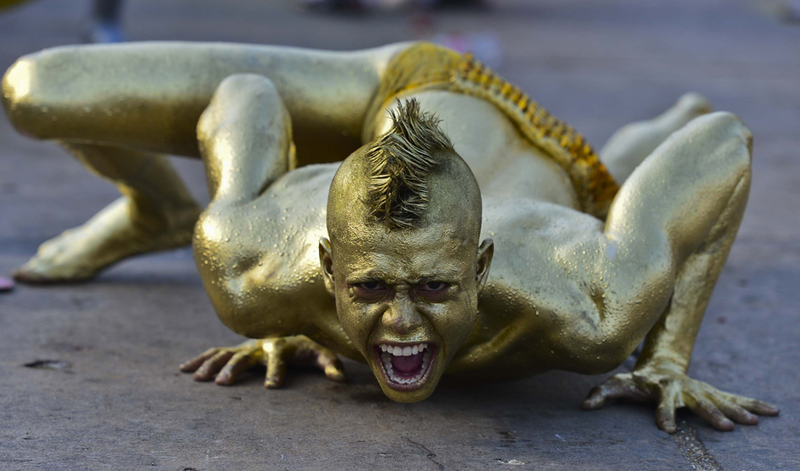 It’s rooted in the Feast of Fools celebrations of the Medieval period where things solemn and serious are flipped and things ridiculous are given piety and sacredness. Fact and fantasy mingle. His may be done by giving voice to those who usually are voiceless or suppressed. Cool Picture...not from the movie. 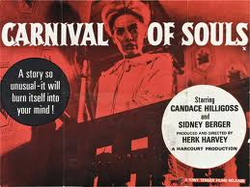 In Carnival of Souls, that would be Mary Henry. Let’s walk through the 4 planks of Bakhtin’s Carnivalesque theory and see how they apply to this film. 1) Familiar and free interaction between people. Carnivals attract a wide variety of people who are allowed to interact safely within the carnival atmosphere. In the film, it’s Mary Henry’s journey to her new job that puts her in contact with a wide variety of people. Her suspicious, yet gracious landlady, her masher neighbor, her new boss at the church where she’s been hired to play the organ, a doctor, and people from back home. But the man she most has conflict with is an unidentified man who keeps appearing in her dreams as well as in her reality. Mary’s behavior can best be described as odd at best, downright eccentric at worst. She goes in and out strange behaviors. One minute she’s cool as a cucumber to her wolf of a neighbor and then she’s all over him it be with her. When she’s practicing the organ at her new job, she goes from beautiful church music to music so eerie she ends up getting fired. She hallucinates. She panics. She declares she’s not interested in men at all, then goes out with a guy who obviously has one thing on his mind. Her interactions with her neighbor is a prime example of a misalliance. She feels she needs him for company after she’s seen things, yet she has no intentions of satisfying any of his needs. For a moment, she’s got her landlady frightened as much as she is. That’s another misalliance as the landlady has no qualms about her leaving. Her greatest relationship which turns into a misalliance is with a doctor. He literally turns into the man she has been hallucinating. Mary constantly declares that her church organist job is merely that…a job. She has no religious beliefs. This borders on the sacrilegious when she is practicing one evening and her playing becomes ominous and eerie. The priest rushes in and says her playing is profane and that she lacks a soul, and fires her. Mary realizes she is misplaced when she says, “I don’t belong in the world. It’s as though for a time I don’t exist, as though I had no place in the world.” The chaos is represented by the dancing ghouls at the carnival site Mary goes to. The ending is a complete subversion of not only Mary’s place in the world, but of the narrative structure. We’re left wondering how it is that she is our narrator. An ending that would have made Bakhtin proud to call Carnivalesque! Click HERE to watch the movie for free online. If I say Bakhtin...will you run?